With 4.5 weeks to go, it’s getting down to final prep time. Today I spent gathering all my gear that I will be taking with me and running a test packing of the Farpoint 55. The Farpoint 55, as I mentioned in a previous post, is a 55L backpack system that actually splits into a 40L main pack (which can convert into carry-on style hand luggage) and a convenient 15L daypack. While it wasn’t an overly difficult endeavour, I had to work at it a bit until I managed to get a good system. Let’s get into it. Here you can see both the main pack and the day pack are shut and ready to go as well as each having an individual lock. The Farpoint 55 has convenient locking holes in their zippers and I found some sturdy TSA style locks to use that fit perfectly. 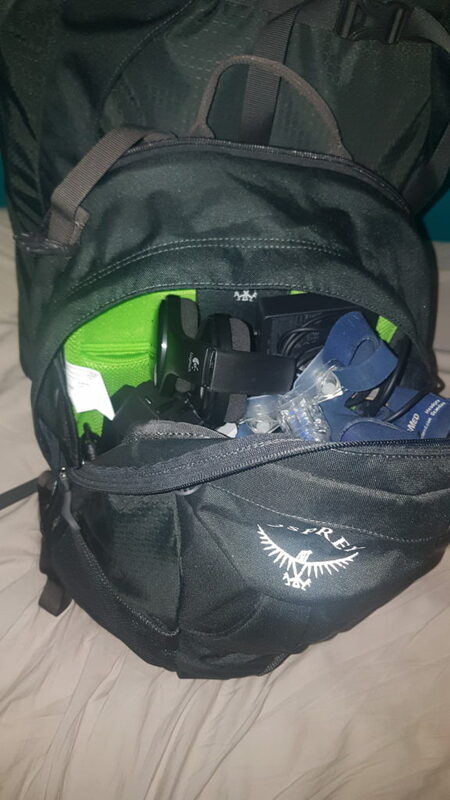 Now let’s open up the day pack and check out what 15L can hold and what I’m using it for. My biggest challenge was my CPAP. I’ve been worrying about it the last few days, thinking perhaps somehow I’d have to carry it separately in it’s carrying case. Traveling in Canada and the US has posed no problems as due to non-discrimination laws medical devices don’t count as a carry-on item. However, internationally, many countries and their airlines don’t have such policies. I would hate to show up for my flight and have to deal with explanations. Suffice to say though, the day pack managed to handle it with a bit of careful execution. The CPAP itself took up about 60% of the space while all my other electronics and gear took up the rest of the real estate. The pictured wireless headphones are just a placeholder as I’m getting some noise cancelling headphones. 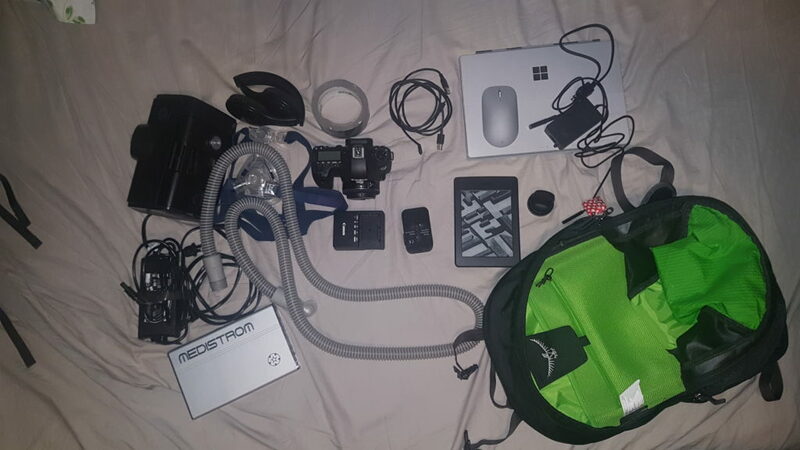 The rest of my gear is: Surface Pro w/ Bluetooth mouse and charger, Kindle Paperwhite, charger for my Samsung Gear S3 smartwatch, a couple of USB cables, a universal adapter, duct tape, and my Canon 6D w/ 40mm lens and charger. To the left, as mentioned, is the CPAP (Airsense 10) w/ hose and nose piece, along with the 98W battery pack (good for 16 hours), and charging cables. Having sorted the day pack, let’s take a gander at the main pack. First, upon opening it up, you can see how everything seems to be neatly slotted in. Well the trick is eBags packing cubes as you can see below. All I can say is eBags are fantastic! The 4pc small and medium bundle pack that I purchased was perfect for my needs.The medium eBag up top fits 3 polos and 2 tshirts. The next one down in size (medium slim) easily fit 5 pairs of boxer shorts. Next step smaller holds my dress shirt, pants, and tie in case the occasion calls for it. And finally, the smallest one to the right holds 5 pairs of socks with room to spare. 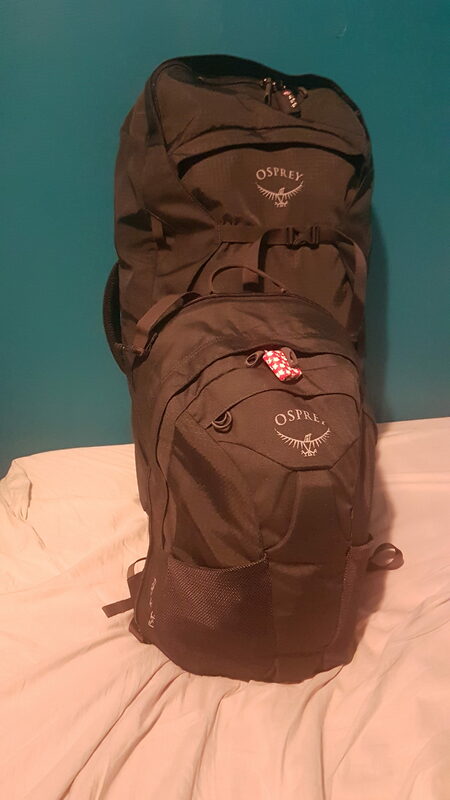 I highly recommend if you’re trying to fit all your gear in a smaller pack that packing cubes (especially eBags!) are on your list. They’re great for organizing and keeping clothing compact. 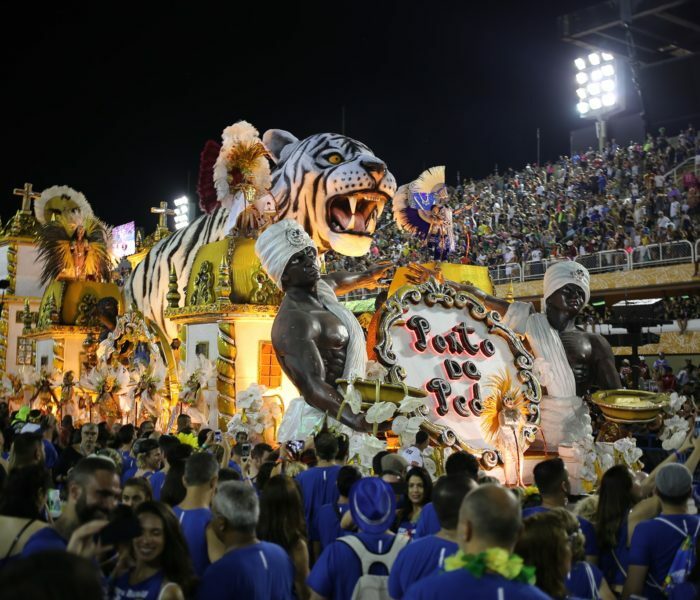 Rounding off the clothing is a pair of cargo shorts and swim trunks. I’ll be wearing convertible cargo pants and another shirt as well as comfortable hiking/walking shoes. I’m also looking at getting some lightweight dress shoes as there is still a bit of space and they’d probably go better with the shirt and tie ensemble than walking shoes. 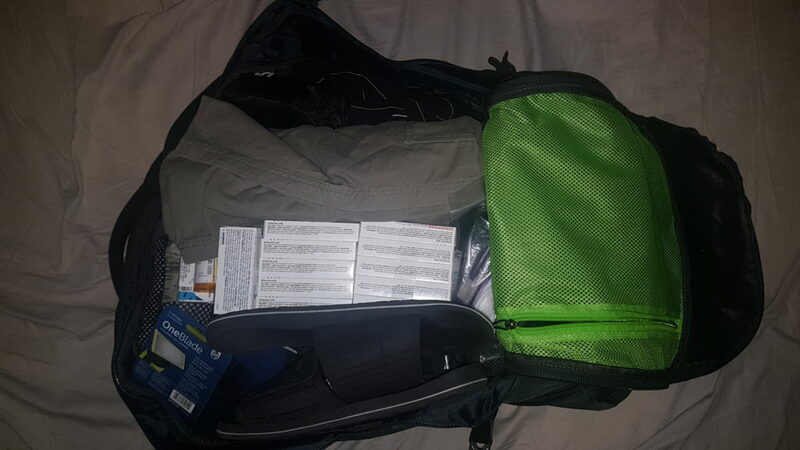 Along with clothing, the main pack will hold my toiletries (travel toothbrush, Philips OneBlade w/ refills, antiperspirant, and a comb) along with a micro fibre towel, a soap container, various medication (malaria, altitude sickness, and traveler’s diarrhea) and three bars of Dr. Bronner’s soap bars. Dr. Bronner’s soap is convenient in that it can work as a shampoo, body soap, and if mixed with water, a convenient laundry detergent. One other item not shown is a roll of toilet paper. 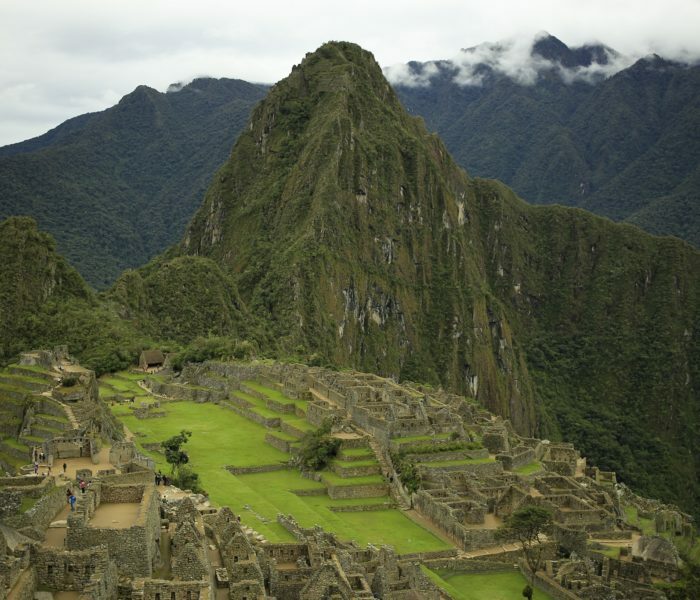 I’ll pick that up as needed before I hit risky spots on my itinerary. So there you have it! 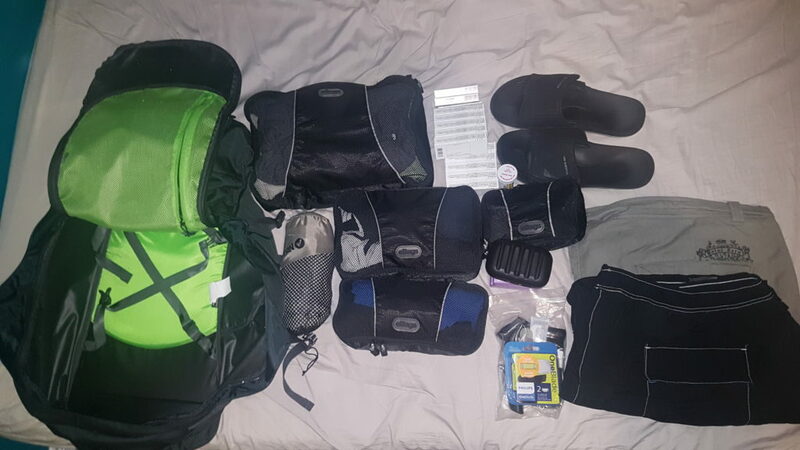 I’ve definitely found it challenging to pack for carry-on only (minimalist) especially as 1) I’m 2-3 times the weight of most travelers who embark on this challenge and 2) Having a CPAP adds a relatively significant amount of gear. However, with perseverance and careful planning, I believe I found a good balance of need vs possibility. Now all I have left to do is continue booking my European itineraries (already have London and Paris done!) and looking forward to the adventure!